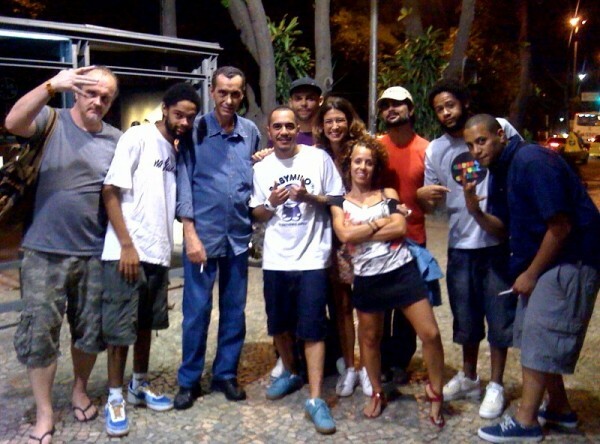 B+, Eric Coleman, Verocai, Debora Pill and friends in Rio. On a baking midsummer evening in a cinema in Botafogo, Rio de Janeiro, a musician called Arthur Verocai stands in front of a full house and says how he needed a couple of conhaque in his system to face a crowd of people who had just watched the film of a performance of an album that he wrote in 1972. 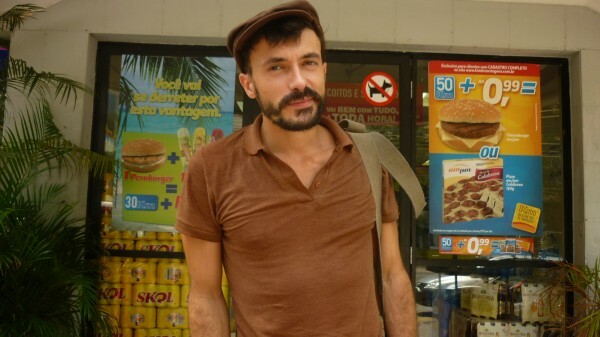 Verocai explains that he made the album at the height of the military dictatorship and was so disenchanted by its commercial failure that he hid his copy, refused to listen to it, and turned to making jingles instead. Thirty years later it was picked up by California’s Ubiquity records and hungrily savaged for samples by local producers like MF Doom. 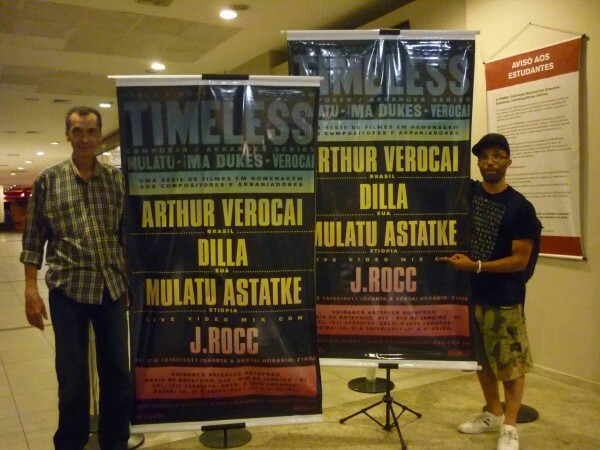 In turn Verocai was invited to perform the album live for the first ever time as part of a project called Timeless, that also includes a concert by Ethiopian jazz maestro Mulatu and a performance of the Suite for Ma Dukes, an orchestral arrangement of the work of the late great J Dilla. Two days later sitting alongside Verocai in the same cinema we watch the LA DJ and turntablist J.Rocc perform a live video mix of all three films making a video and sound mosaic of awesome proportions. Arthur Verocai and J.Rocc after the show. This musical and visual feast is called the Timeless project, produced by LA based photographers B+ and Eric Coleman who together founded Mochilla, a collective where photographers artists and editors come together under one roof to produce music films, music DVDs, music CDs, music and photography, video, content and stories that are all music related. Before Timeless, Mochilla invented Keep In Time, a project to bring together some of the original breakbeat drummers with some of the budding new talent in the DJ world. How did Keep in Time come about? I really wanted to record some of the drummers just to play the beats, but they couldn’t remember a lot of them, so rather than do it myself I decided to ask DJs like J Rocc, Babu and others to play these for them. And then it turned into a musical collaboration, which was what we had at the back of our minds, but was something we could only really think about once everyone was in the same room. 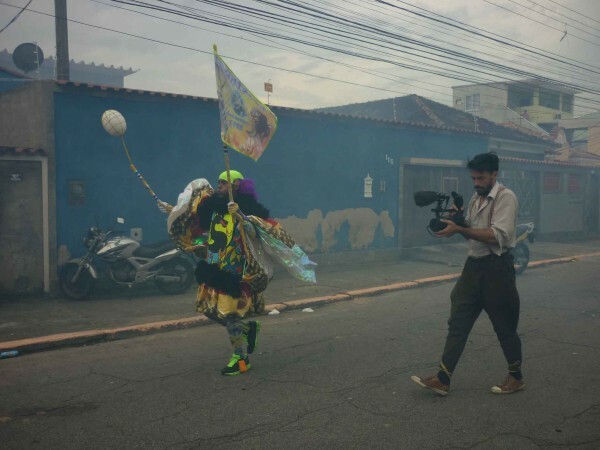 So what Keep In Time began as, was a document of that moment, then a show, then a film, and then we started a Brazilian version, Brazil In Time in 2002, where we had drummers like Mamão and Wilson das Neves alongside young guns like DJ Nuts. So the project then is a bit like bridging generations and technologies? We never really started out thinking about it like that but it developed along those lines, we bridge generations, continents and countries that have like affiliations of music. We try to build bridges between lots of things. We take flights of fancy and ask what would happen if? How cool it would be if? How interesting a conversation it would be if? Timeless is an extension of all of that. There was a bunch of us sitting in a room and we wondered what would be the ultimate music festival, for the music that we like. What if we had Cut Chemist and Quantic opening for Mulatu? MF Doom for Artur Verocai? Or Snoop Dog with Axelrod? When we sat down to draw the list together we realised that a lot of the people we saw were composer arrangers, which is a weird position in music because their names aren’t on the music, they’re not spotlighted people and a lot of times their name won’t even be on the front of the record. And it was a series of concerts that we did in LA and filmed and recorded really, really well and made into a series. We try to imagine what the institutional landscape would be like for curating music if hip hop was the central thematic. I was talking with a friend about how much we love interviews. I love giving interviews because basically I don’t really answer what people want me to answer, I just think by myself, it’s like a visit to the psychologist, talking. I learn about myself giving interviews because it’s the only moment I get to really take time to think about what I’m doing almost. I construct my ideas during interviews. What’s your name and what do you do? My real name is Mathieu. I started to use the name Vincent Moon about ten years ago. I come from photography and I’m from Paris. I guess the first time I was in a collective exhibition I used the name Vincent Moon because I was ashamed of putting my name on the wall alongside my photos. I was ashamed of what I was doing. I guess all my work is based on this idea of extreme hate against myself. I didn’t like myself then and I still struggle with myself now, that’s a very simple thing. So I took the name Vincent Moon that comes from a story by Jorge Luis Borges. Vincent Moon is a traitor and an evil character, he’s a double character. I’m learning about the world, travelling. Usually I say that I’m a film maker but especially this month when people have been asking what I’m doing now, I say that I travel, and that I have a good pretext to travel because I make films about music all over the world, but my real aim is to know more, to learn and to change into a better person I guess. I think I’m obsessed about music. I don’t know anything about music; I mean I don’t understand how it’s made. And I think I have a reflection, a big question for everybody and all the young people growing and trying to understand what they are doing here, you can have access to all sorts of information but I like the idea that you must struggle with what you don’t want to know, what sort of information you don’t know or don’t want to reach. So I like to play with this idea and turn it around. So I have no idea how music is made, like someone playing the guitar, I have no idea how this is done, and I don’t want to know. So each time a friend of mine, a musician, tries to explain something to me, I tell them they’re breaking the magic of it for me. People making music is like magic, I think that musicians are like magicians and I’m fascinated by this. When you know how they do it it’s not as beautiful any more. Take Away Show #104 _ TOMI LEBRERO from Vincent Moon / Petites Planetes on Vimeo. What music interests you most? What do you make of Rio? It’s very interesting because I went to São Paulo before and I’m very happy that I did, there is a lot to learn about how cities evolve and I think that there is a lot to compare between the two. I loved São Paulo and found an incredible type of energy there, very rare in fact, that I have never found anywhere in the world before. Rio is much more conservative. It’s a very beautiful place and a very touristic place, but like any such place it’s very conservative, and therefore it’s very hard to make things happen in a creative way in such a place, the walls are very thick and you can’t really move around much. I love cities, I’m an urban guy, I love to see how things grow, and São Paulo doesn’t have any limits, it just expands and grows and grows. It’s total chaos without any limits, you can always find a place to do something. I was in Poland recently and I went to Krakow and Warsaw. It’s a very interesting story: before World War II Warsaw and Krakow were the two first cities and extremely old very beautiful places. Then in the War Warsaw was completely razed, because of the Warsaw uprising they destroyed it. At same time Krakow didn’t receive any bombs, it was preserved. Nowadays you go there and you see Krakow, it’s Disneyland, extremely preserved and there’s nothing happening. You go to Warsaw and it’s the most vibrant space I’ve seen in such a long time. This says so much about how history evolves and how destruction can even be a good thing. So if the question for the 20th century was how to conserve, the question for me now is how to destroy. Going through a terrible thing is often the key to building a community, like a story about an area of Amsterdam that was very poor and very violent and forgotten by the authorities for many years. One day a plane crashed and killed hundreds of people. From that day a community was formed. Here was a dramatic event that joined the whole community and changed the whole area. What is culture? Is it possible to explain the word culture? Erm, well. It’s hard for me to think about what it’s not. Everything is culture. I guess culture is what makes us different from each other also, and I’m just worried that we’re just witnessing the disappearance of a lot of culture and the emergence of just one main culture all around. I mean this gas station where we are looks like any other gas station in the world. It freaks me out a bit. I’m interested in multiculturalism and what this means. I think it has to do with preservation and destruction. I think preservation can harm culture a lot by trying to put it in a box. Vincent Moon is an independent filmaker. Systema Solar is a Colombian performance collective that mixes dance, images, sound and visuals to create its own sonic language: a blend of Afro-Caribbean folklore, electronic music and sound system. The result is a psychedelic AfroLatinIndian concoction that has an indigenous Colombian stamp. Systema Solar will be passing through Europe during the summer months for various dates, visiting Germany, Italy, France and England where the collective will appear at the mighty Glastonbury Festival.